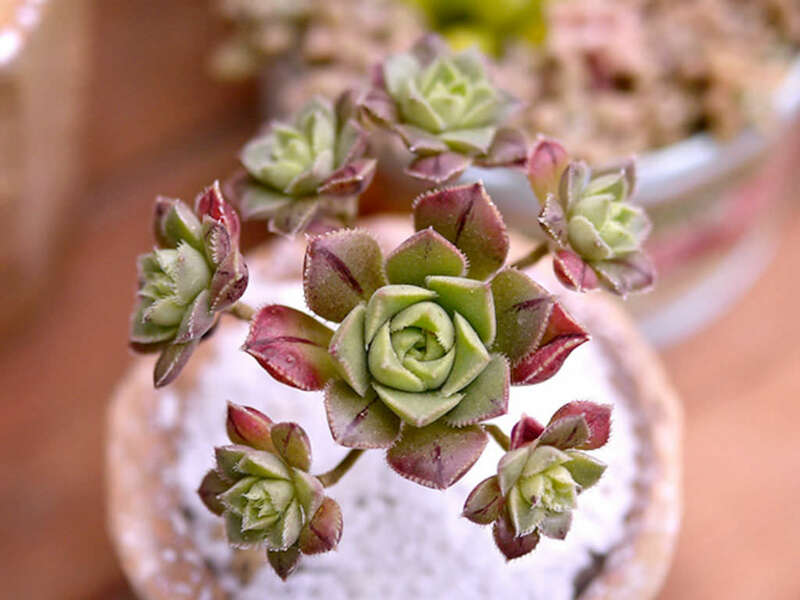 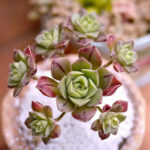 Aeonium x mascaense is a cute little succulent plant with rosettes only up to 1 inch (2.5 cm) wide. 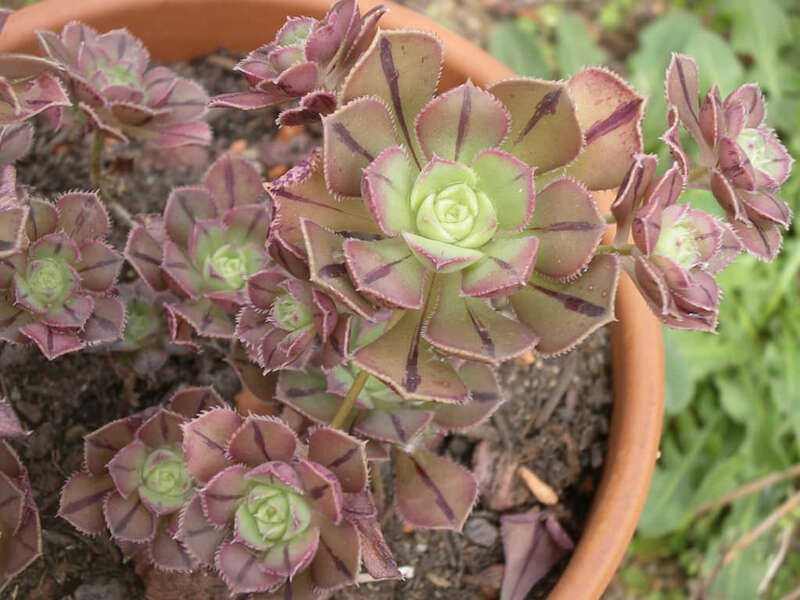 It is multi-branching so there are many rosettes that form a nice lime green mound up to 2 feet (60 cm) across and up 18 inches (45 cm) tall. 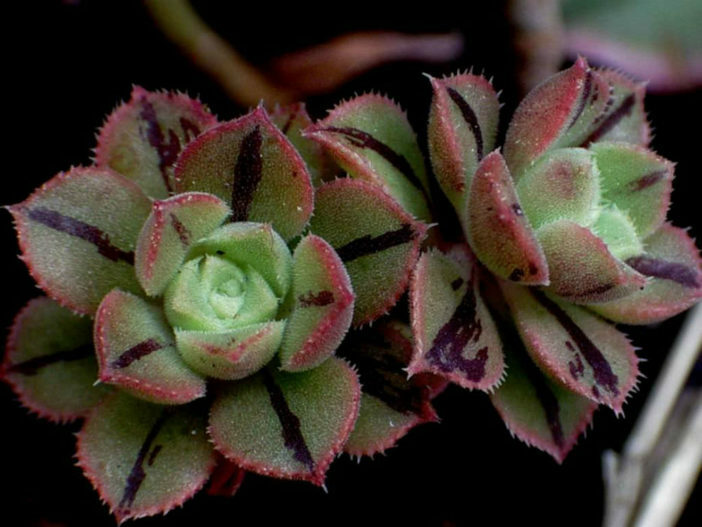 The leaves have a strong red stripe down the middle and are rather thick and pinchable. 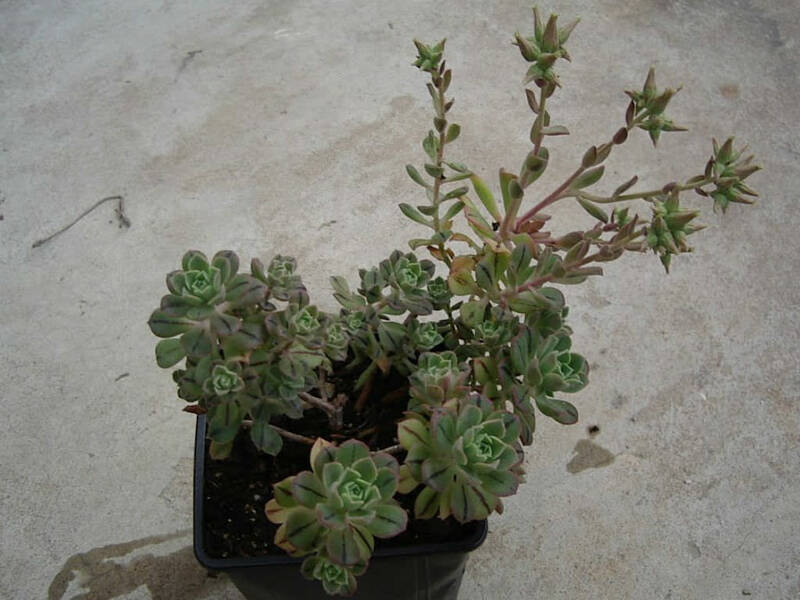 The bloom is a greenish white and occur in clusters up to 4 inches (10 cm) across. It is found growing in Masca, Tenerife. 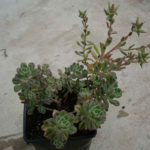 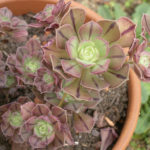 It is thought by some to be a cross between Aeonium haworthii and Aeonium sedifolium.